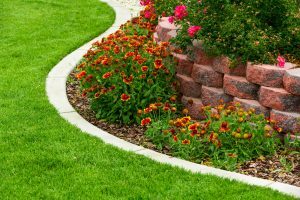 Maintaining boarders and flowerbeds is no simple feat, as very often gardens can get out of shape and become impossible to manage. Though, a simple trick to keeping them in shape is garden edging. Edging is a guaranteed way to keep your soil and gravel in place in any flower bed, as well as provide an alternative method for laying out paths in your garden or backyard. It’s also a brilliant way to give your garden a professional finish and a clean division between sections. Though, not only do they add charm and character to your garden, but they are also extremely practical. They can be a great way to separate weeds from flowerbeds and mulch from laws as well as marking out a clean line for mowing and trimming. 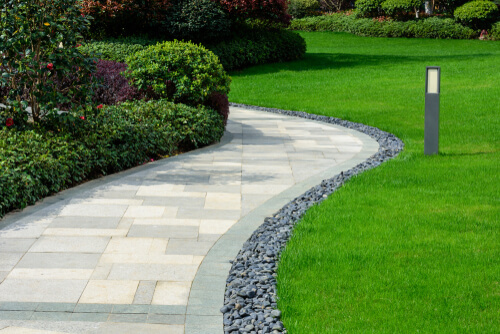 Here at Sansums, we offer a wide range of garden edging styles in Swindon, perfect for sprucing up any garden. We’re big believers in your garden being a space to be proud of, that’s why we want to support people to improve their garden space. Be sure to call us today on 01793 536784, a trained member of staff will be more than happy to advise you on exactly what you need. These are a weather resistant and affordable choice, which are one of the most popular choices of garden edgings. They offer a simple, timeless look that will compliment any garden, traditional or contemporary. They look beautiful laid side-by-side to create a neat uniform line. If your garden is prone to having standing water when it’s been raining heavily, garden edging can be a good remedy to this. Keep turfgrass from spreading into surrounding garden areas. Keep people out of areas where you don’t want them to go, such as planting beds. Here at Sansums, we believe in going above and beyond for our customers. If there is anything you need for your garden project, please do not hesitate to get in touch today. We pride ourselves on our customer service, reliability and the quality of our products. We tailor our services to meet each and every customer and their needs. 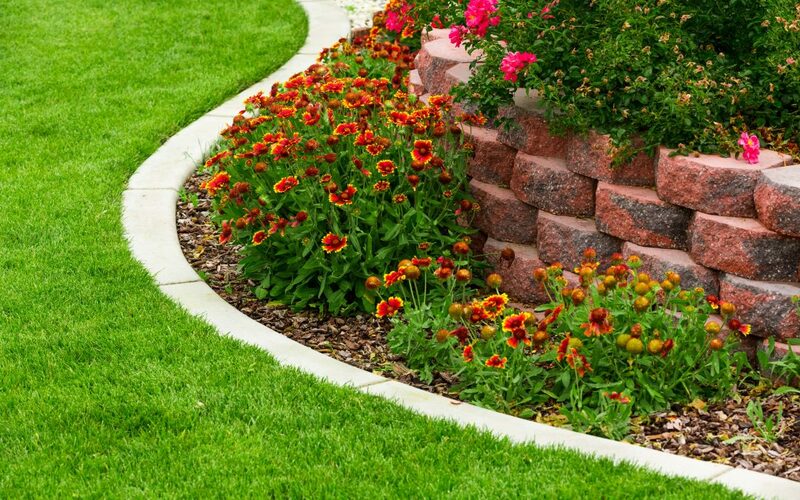 All we need to do is collect the correct measurements for the desired area that needs garden edging and we will provide the exact amount needed. This will, therefore, reduce the amount of waste left and will save you money. Also, some customers find that adding garden edging to their garden can be a challenging job to get perfect, so we offer advice on the best way to lay each piece down, and which tools are best for the job. Can’t pick up your materials? Don’t worry. We offer a collection and delivery service so you can relax when it comes to transporting the materials you need for your next project. We have been supplying garden edging to Swindon since 1972. We are very proud of the rate of which we have expanded since we first create the company and we have helped many customers create the garden space they’ve always dreamed of. So, if you’re looking for a professional company with the right experience who stock high-quality products – Sansums are the best choice. We don’t just stock garden edging either. If you’re upgrading your whole garden, be sure to check out the rest of our products. We also specialise in fencing, patio slabs, topsoil, and much more. So, if you’re interested in neatening up your flowerbeds, please feel free to call us on 01793 536784 and a member of staff will be more than happy to talk you through our stock and help you choose what you need.